As a pediatric dentist, Dr. Justin Edwards has had specialized education and additional years of experience in exclusively treating children and those with special needs. In 2004, Dr. Edwards earned a Bachelor of Science degree in cell biology and neuroscience from Montana State University. He received his Doctor of Dental Medicine degree in 2009 from Tufts University School of Dental Medicine in Boston, Massachusetts. Having a passion for working with children, Dr. Edwards continued his dental education and was accepted to a two year, Pediatric Dental Residency at Virginia Commonwealth University School of Dentistry. In 2012 Dr. Edwards became a Diplomate in the American Board of Pediatric Dentistry. He is also certified in PALS, BLS and is an active member of the American Academy of Pediatric Dentistry, American Dental Association, and Virginia Dental Association. Dr. Edwards is committed to providing excellent dental care and a great dental experience for all children and teens in a warm and loving environment. He believes in taking whatever time is necessary to provide the highest quality of care for your children. Dr. Edwards enjoys spending time with his wife, Kristin. In their spare time they enjoy being big kids, spending time outdoors, skiing, hiking, biking and traveling. Dr. Musselwhite is very excited to be joining Pediatric Dentistry of Fredericksburg. Dr. Musselwhite is originally from Lumberton, North Carolina. He received his Bachelor of Science in Psychology with a minor in Chemistry from the College of Charleston in 2007. He earned his Doctor of Dental Surgery from the University of Michigan School of Dentistry in 2014. He completed his pediatric dentistry residency at Bon Secours St. Mary’s Hospital of Richmond in 2016. 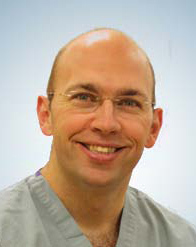 Dr. Musselwhite is known for being outgoing and caring with his patients. He loves treating kids and helping them to become excited about going to the dentist. He is a member of the American Academy of Pediatric Dentistry, American Dental Association, Virginia Dental Association, and the American Association of Public Health Dentistry. When he’s not practicing dentistry, Dr. Musselwhite enjoys traveling, reading, playing soccer, and spending time with friends and family.